MYALL QUAYS SHOPPING CENTRE: Red Cross Big Cake Bake. MEMBERS of our local Red Cross would like to say a big ‘Thank You’ to the community for their generous support of their Big Cake Bake. 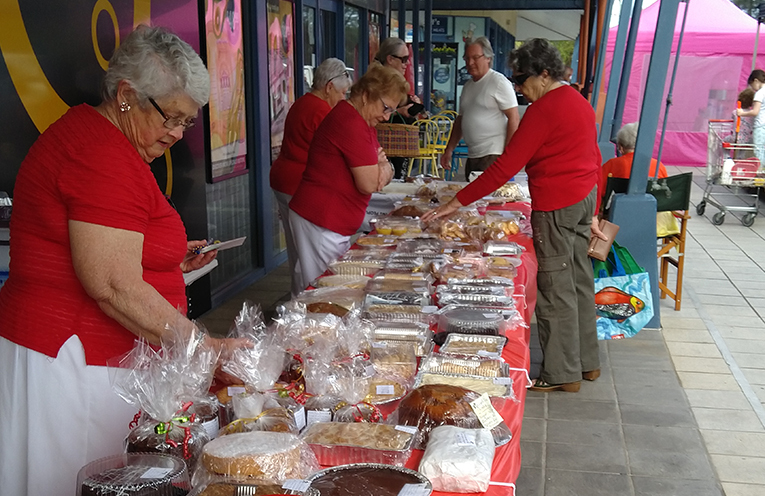 The annual event, held at the Myall Quays Shopping Centre, would never happen if not for the hard work of the Red Cross delivering tables laden with delicious homemade treats. “We would like to humbly thank our local community for their generous support , with the donation of tasty homemade baking goods and spending up a storm so we were nearly sold out,” Helen Janes from the Red Cross said. The Big Cake Bake raised $1,500 while a raffle added another $250 to the coffers. Money raised will go to the Red Cross Appeal to help people caught up in the double disaster, of the earthquake and tsunami which struck the Indonesian Island of Sulawesi, leaving thousands dead and many more homeless. And it should be noted that long time member Jenny Kelly was recently acknowledged for her volunteer work. 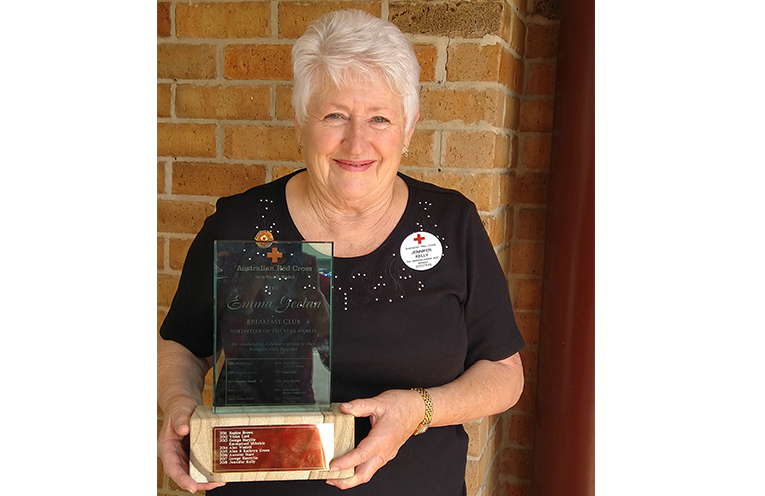 Jenny was awarded the Emma Geelan trophy at a special meeting in Sydney for her ongoing support of the Breakfast Club at Tea Gardens Public School.